Things have been busy lately and I've been pulling together some concepts for a few new condo renos and some private residential clients. I've found myself drawn to beige a lot lately, mostly in a warm, inviting sense, but also because it's been client dictated. Sometimes, you know you can't just throw a grey broadloom and dark wood suite entry out there because it's just not who the residents are. You've got to respect the reason a buyer bought into the building to begin with, but at the same time challenge them to move forward (interior design wise). On the bright side I am 100% in love with how this (slightly) beige palette is turning out, and I can't wait to show it to the client in the next few weeks. 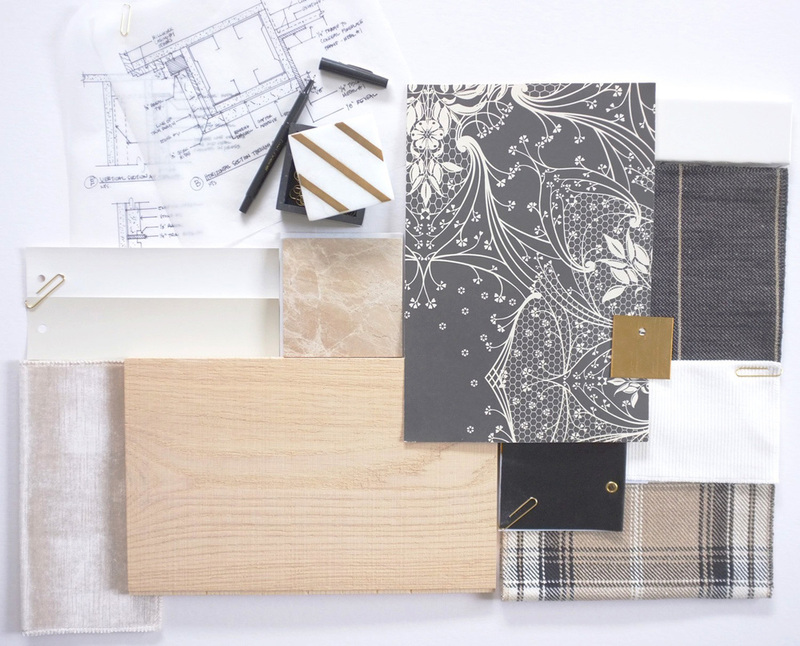 I've also been working on this residential concept lately and am loving the Black, Blonde, and Gold combination. 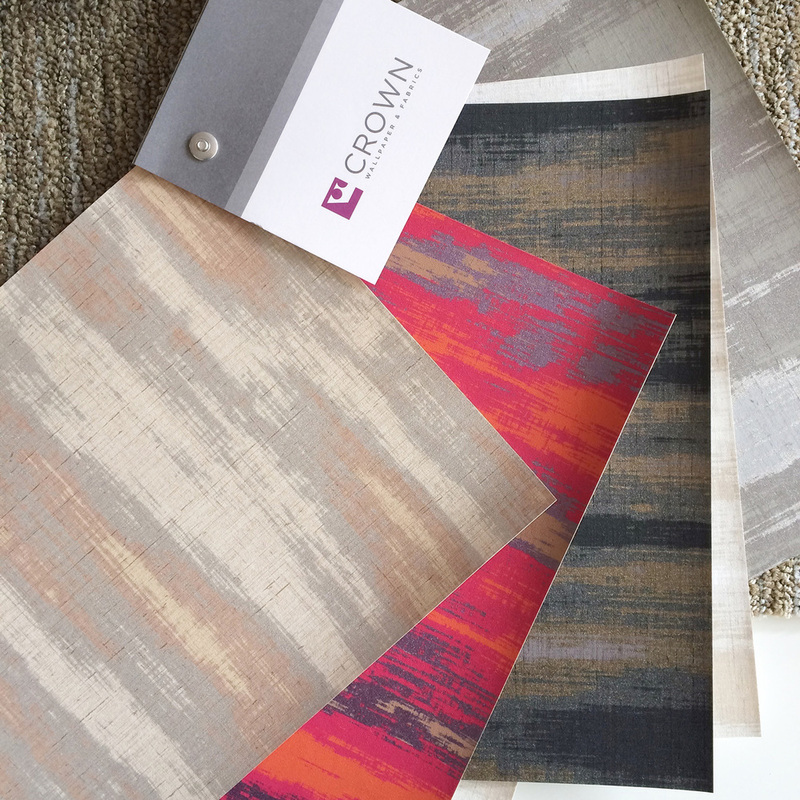 I've always had a soft spot for wallcoverings (they add the greatest layer of texture to a space), and one of my favourite sales reps dropped by with some new patterns - I am in love with this new vinyl and I think i have the perfect project lined up for it as well! My week is also never complete without exercise and I was treated to these new sneaks by my favourite fella! Apparently when you lose weight your feet shrink too and I've now been downsized to size "young adult". I'll take it. Here are some of my favourite things from this week - Hope you all have a lovely weekend! Money well spent! This West ender can't wait for the Fort York Pedestrian and Cycle Bridge to be built. This post from Elizabeth Olwen had me waving my hands way up in the air. My two favourite ladies lighting Christmas Up. Reminded me of someone - Didn't know whether to laugh or cringe.